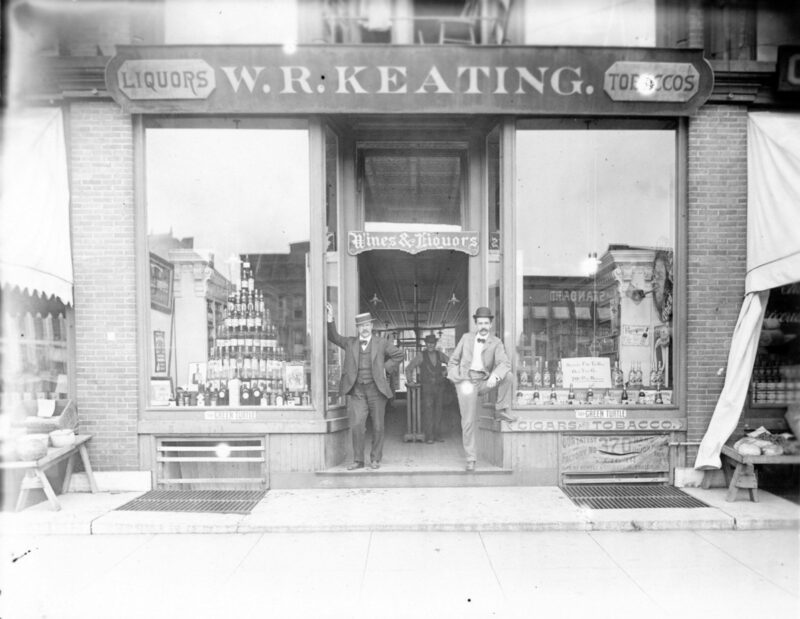 Three unidentified men in front of W.R. Keating Liquors & Tobacco. The store sold liquors, wines, and tobacco. 1901-1902 (note the liquor license in window). Watertown, NY. Courtesy of the Jefferson County Historical Society.